Solar Systems Cairns recently installed a 6.3kw Panel and Inverter based Solar System at a residential home in Mount Sheridan. This project is now producing enough power each day to not only offset the daytime power usage of the retired residents, but also produces excess power that is sold back to Ergon Energy via an Export Agreement. 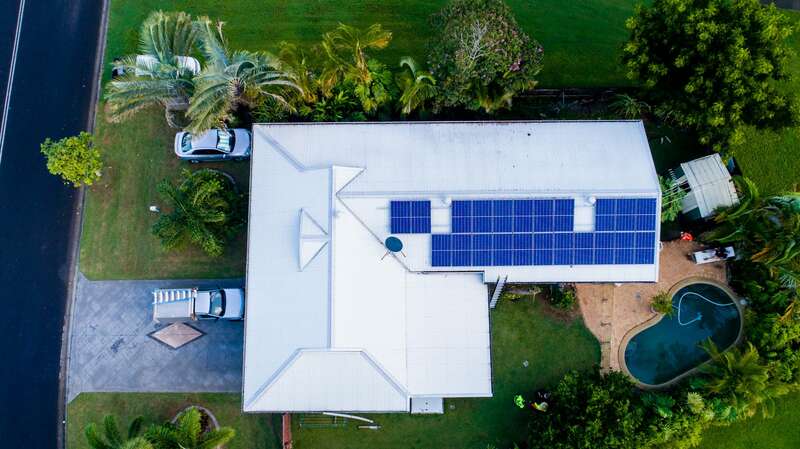 Solar Systems Cairns is able to make all arrangements to connect any Cairns home or business premises to a high-performing Solar System that can export excess power back into the grid for a profit. Simply call us today to arrange a 100% obligation-free visit to your Cairns home or business to discover how much money you can save (or make) from a high-efficiency Photovoltaic Power generation system. CALL US NOW or complete our online inquiry form to book your free consultation.